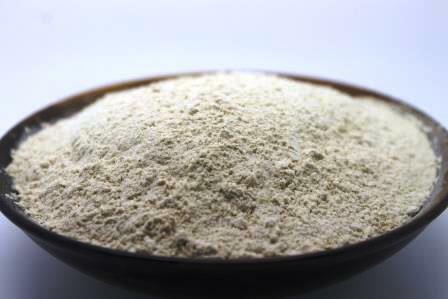 Onion Powder Substitute – What to Use? Just looked in your cupboard to find you are all out of onion powder? Don't worry it is fairly easy to find an onion powder substitute, you'll probably already have some of these. It’s never fun to cook when you realize that you’ve run out of an ingredient. Finding substitutions in a pinch can be difficult and might force you to change your recipe drastically. Thankfully, there are some simple substitutions for spices such as onion powder that are easily found in the kitchen. Dehydrated onions, similar to onion powder, are made from dried onion. This is likely the closest flavor as an onion powder substitute. The only difference between the flakes and the powder is the size. There will be no additional moisture added to the dish because the dehydrated flakes are dry, just the same as onion powder. If you’d like to, you can even throw the dehydrated flakes into a food processor or blender to make them into a finer powder. This will make them even more similar to onion powder. When having to substitute onion powder for dehydrated onion flakes, use equal amounts that the recipe calls for. It is important to finely grate the fresh onion to make it work for your dish. When finely grating it, the fresh onion will transform more into a moist paste. This will add additional moisture into your dish but it will allow your recipe to maintain a similar flavor profile. Onions are typically at least eighty percent water. Dehydrated onions, such as those in powder or flake form, are only approximately four percent or less of water. This means that you will need to adjust the amount of liquids in your recipe to reflect the amount of water that the onions are likely to add.It should be noted that while fresh onions will help retain similar flavors, they are actually stronger than the onion flakes or onion powder. In order to avoid an overpowering taste, use less fresh onion that what you would use in powder form. Try using half of the amount the recipe calls for and then adding more to taste if necessary. Onion salt is a combination of salt and onion powder. The fact that it contains onion powder makes it a great substitute but because it additionally contains salt, the flavor can change your recipe if you’re not careful. The onion salt contains approximately a one-to-one ratio of onion powder and salt. This means that you cannot increase the onion flavor without additionally increasing your salt intake. If you decide to use onion salt, you should adjust other sources of salt in the dish accordingly. One benefit of onion salt, though, is that it will not add any of the additional moisture that fresh onions will add to your dish, making it just an easier substitute to use. If you consider using this substitute, consider using half the amount the recipe calls for and adjusting to taste as necessary. Onion juice is a possible substitute for onion powder but it makes sense to use this only in a pinch. Onion juice adds excess moisture to your dish, changing the texture. Celery seed can also add notes to your dish that taste savory, similar to onions, but do not provide the best possible substitute. « Substitute for Dry Mustard – What to Use?